Home / Destination Updates / La Fayette Travel French Rivieria DMC presents Roquebrune: Tour of Medieval Village & Castle for Incentives Planners! 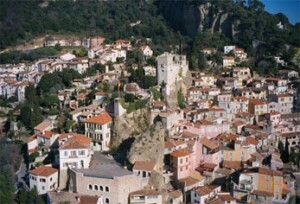 La Fayette Travel French Rivieria DMC presents Roquebrune: Tour of Medieval Village & Castle for Incentives Planners! is one of the classic hilltop villages of the French Riviera, only a 15-minute drive away from Monaco, avoided by tourist crowds and yet absolutely unique. It belonged to Monaco from 1355 until 1848 and has kept its medieval character. Coco Chanel, the famous French fashion designer, had a beautiful villa here. Monte-Carlo. Shops in the village: a ceramist, an olive-wood sculptor and a candle maker.